Solve the mystery of how to write gripping crime fiction with a two-day investigation into the genre led by top authors William Ryan and M R Hall along with Literary Agent and bookseller David Headley. 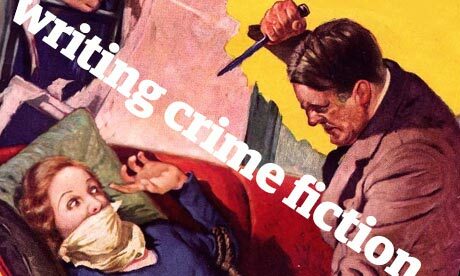 What makes crime fiction tick? How to create an original central character and many more! Dates: Saturday 19 and Sunday 20 October 2013. Today's guest blog is by Holly Goddard Jones whose debut novel The Next Time You See Me was published this month. Her short stories have appeared in The Kenyon Review, The Southern Review, The Gettysburg Review, The Hudson Review, Epoch, and elsewhere, and they’ve been anthologized in two volumes of New Stories from the South (2007 and 2008) and in Best American Mystery Stories 2008. When I began The Next Time You See Me in early 2008, it didn’t once occur to me that I was tapping into what would become a literary zeitgeist: the “missing woman” crime thriller. The big books in the U.S. that year were the Twilight series, A Thousand Splendid Suns, and The Story of Edgar Sawtelle, though you could perhaps see a ripple of things to come with the success of Stieg Larsson’s Millenium Trilogy, which debuted in English in 2008 with The Girl With the Dragon Tattoo. Titled originally in Swedish as Män som hatar kvinnor, or Men Who Hate Women, one of the book’s several plot strands concerned the mystery of a girl who has been missing, and presumed dead, for nearly 40 years. Fast-forward to today and missing woman books seem to be everywhere. Or maybe what I’m experiencing is what my husband and I used to call the Grey Pontiac Grand Am Effect: once you drive one, it seems like everyone is driving one. While The Next Time You See Me was being copyedited, Gillian Flynn’s Gone Girl raced to the top of the bestsellers lists. Noting some of the broad similarities between that book and my as-of-yet-unpublished novel—missing 30-something woman, examination of life in a forgotten corner of middle America—I was nervous to delve in, but I did, and I had the best possible experience: I loved the book, but I also thought it was so different from The Next Time You See Me that the two didn’t really bear a meaningful comparison. That’s funny in retrospect. After Flynn generously blurbed Next Time, I couldn’t escape the comparison—from reviewers, readers, even my friends. “Missing woman” wasn’t just a plot detail; it was the book’s hook. Soon enough I started getting my own blurb requests, and two of them right out of the gates were for novels about missing women. I was torn. On the one hand, trends seem to drive the contemporary book industry, and if a link to a wildly successful book puts Next Time into a curious reader’s hands, excellent. On the other, I’m a literary writer with an earnest collection of short stories and a college teaching job. I never meant to get on any bandwagon. That we all honed in on a missing woman mystery as interesting subject matter isn’t surprising, given the emphasis the media (especially America’s 24-hour news programs and entertainment magazines) place on missing women—and the more horrifying the women’s ordeals, the better. But who am I too judge? They’re only satiating voracious appetites like mine. I’ve followed each of the stories with horror and fascination: Laci Peterson and Natalee Holloway, Elizabeth Smart and Jaycee Dugard. There’s even a quasi-technical term for the sociological trend: missing white woman syndrome. Without engaging my web browser I can conjure up the frozen-in-time likenesses of an array of pretty, smiling, sometimes doomed faces, and that’s part of the fascination, too: those yearbook photos and photos in front of the Christmas tree that remind us so much of our own. The picture of Jaycee Dugard from just before her disappearance—long straight blond hair drawn back with a headband, bangs, awkwardly large adult front teeth? I know that girl. I was that girl. I can’t speak for Gillian Flynn or any of the other writers who’ve made contributions to the missing woman sub-genre, but here’s what seems to be true for me as a writer: I start with what fascinates, horrifies, and obsesses me—sometimes to my shame—and then I dig in. I question it. I see what happens if I subvert some of the expected details of the familiar narrative, and in that way I hope that I’m wringing some meaning out of what might otherwise be an empty exercise in schadenfreude. My novel’s missing woman, Ronnie Eastman, disappears in the early 90s, before the internet and 24-hour cable news and celebrity concern-trolls such as Nancy Grace. And though she is a white woman—I wonder now if it would have been braver and better for me to make another choice—she’s also a person whom most of the people in her small southern town have written off as wild, irredeemable, and deserving of whatever bad card she’s dealt. The what-if questions driving this story for me from the start were: What if a woman goes missing, and she’s so on the fringe of society that almost no one thinks to miss her? How might that woman have touched the lives of those around her, without their even realizing it? My book about a missing woman is as much about the people she left behind as Ronnie herself, and that’s true in life, as well: a missing woman is a vessel for our societal prejudices and preoccupations. She shows us what we value—youth, and a particular kind of middle class, mostly white beauty—and what we despise, or fear. There’s the perpetrator (and a set of corresponding frozen-in-time likenesses, with mug shots replacing yearbook photos) to despise and fear, of course, but also the woman herself. What did she do to invite her fate? A female victim of violence is a paradox: sacred, entitled to protection and reverence, but also (unlike a child) culpable. No wonder we can’t stop fixing our gaze on her. Crime fiction is the most popular literary genre on the planet. The fascination with murder on the page has long been recognised by authors and critics, and has been demonstrated by the stratospheric sales of many crime novels. But how do the successful crime novelists create plot, structure and pace? How do they create believable victims, perpetrators and investigators? How do they get in the head of a killer? 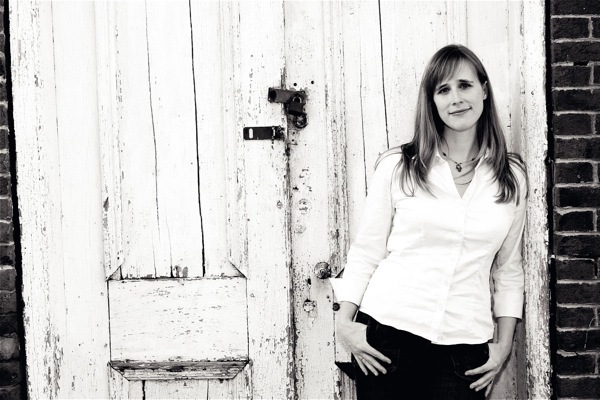 The Writers’ Academy from Random House are holding a creative writing workshop at the beautiful Hotel du Vin Harrogate (home to the famous Theakstons Old Peculier Crime Writing Festival) to aid participants in the writing process. Over the course of two days, Henry Sutton, crime author, Senior Lecturer in Creative Writing and Co-Director of UEA’s flagship MA in Prose Fiction, will draw on the past and the present, critics and authors, to teach the key skills needed to create gripping plots, convincing characters, sharp dialogue, startling settings, and suspense. From the police procedural to the psychological thriller, what’s always crucial is the writing – exactly how you tell the story. Participants will be taught, through a series of examples and exercises, how to control the flow of information and develop pace, how to create cliff-hangers, how to structure their novel, how and where to break convention, when to deploy unreliable narration and devices to tease the reader, what research needs to be done and how, understanding the uses and abuses of violence, humour, and sympathy, and ways of avoiding cliché and being original. The course is open to people who have made a start on their novel, or are about to. Henry Sutton will read a 1000 words of each participants’ work ahead of the course in order to familiarise himself with each participant’s writing style. Up-to-date market information will also be highlighted, and advice given on the best next steps to publication. 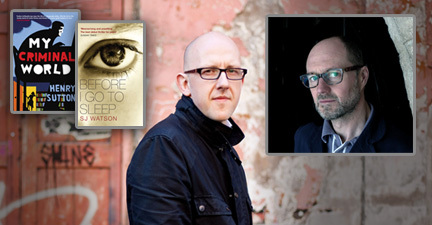 Henry will be aided by guest tutor S J Watson, author of the bestselling thriller Before I Go to Sleep. Places on the course are limited to 14 and cost £375 each to include Hotel du Vin Bistro lunch and refreshments over the two days and a rewarding glass of wine! Preferential rates at Hotel du Vin Harrogate are offered for the dates of the course alongside the purchase of a place. My Criminal World by Henry Sutton is published by Harvill Secker, price £12.99. Henry Sutton is Senior Lecturer in Creative Writing at UEA and Co-Director of UEA’s flagship MA in Prose Fiction. Before I Go To Sleep by S J Watson is published by Black Swan, price £7.99. The book was the bestselling literary debut of 2012 and spent 10 weeks at number one. It has been translated into over 30 languages and a film of the book, starring Nicole Kidman and Colin Firth and directed by Rowan Joffe, will be released in March 2014. Harvill Secker is an imprint of Vintage Publishing and Black Swan is an imprint of Transworld Publishers, both divisions of the Random House Group. According to the Guardian since the news broke about the fact that J K Rowling is actually Robert Galbraith there has been a lot of interest in her novel Cuckoo’s Calling from a number of Hollywood film studios. The adaptation of Gillian Flynn’s Gone Girl into a film is one of the most anticipated. As can be expected any news about characters and who is set to play them is always going to be newsworthy. According to the Guardian, Independent and the BBC it looks as if Rosamund Pike is set to play the main female protagonist Amy Dunne opposite Ben Affleck. Cinemabend.com also states that David Fincher has also added Neil Patrick Harris and Tyler Perry to the list of actors due to star in the film. Fans of Chuck Palahniuk’s Fight Club will be happy to know that there is a sequel on the horizon. However, the sequel is to be a graphic novel according to the Guardian. 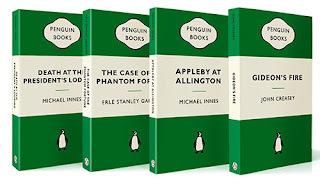 According to the Guardian, Penguin Australia have reissued 50 classic crime novels as a new Green Popular Penguins. 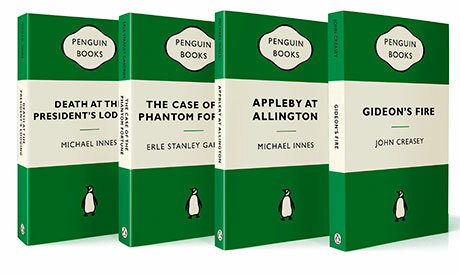 Some of the authors include Dornford Yates, Michael Innes, Julian Symonds, Edgar Wallace, Dashiell Hammett, Barbara Vine, Eric Ambler, Raymond Chandler, John Creasey, Charles Willeford, Edgar Allan Poe, Sapper, Margret Yorke, HRF Keating, Chester Himes and Sir Arthur Conan Doyle to name a few. Excellent article in the Telegraph by Jake Kerridge about Raymond Chandler who celebrated what would have been his 125th birthday on 23 July. According to Deadline.com, Mathew Klein’s novel No Way Back is set to be adapted into a psychological thriller with the title Restart. Restart centers on an ordinary man who discovers that his entire life is being infiltrated and manipulated by a terrifying criminal network. Restart is set to be directed by Brad Anderson who is best known for The Call and The Machinist. 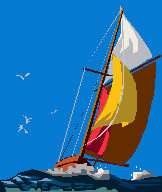 Information about this year’s CSI Portsmouth has been released. Taking part in CSI Portsmouth 2013 are crime authors S. J Bolton, Natasha Cooper, M.R. Hall, Kerry Wilkinson and Pauline Rowson who will also be acting as participating moderator at the one day event discussing crime fiction and fact at The Princess Royal Gallery at the National Museum of the Royal Navy in the Portsmouth Historic Dockyard. More information can be found here. Very good review of Sabine Durrant’s novel Under Your Skin in the Telegraph. Congratulations go to both South African author Margie Orford and Head of Zeus. According to the Bookseller, Head of Zeus have signed a five book deal with the South African crime author. Fellow crime writer Doug Johnstone interviews Denise Mina in the Independent following her second prestigious Theakstons Crime Novel of the Year win last weekend. The programme for the 20th Annual St Hilda's Crime and Mystery Conference has been revealed and can be seen here. St Hilda's is always a brilliant event. Very academic but also very laidback. I am looking forward to it very much especially since I not only missed Crimefest this year but also Harrogate. I shall be moderating the final panel of the day where we shall be discussing if there is a future for crime fiction. The panel members are Richard Reynolds from Heffers Bookshop, Agent Broo Doherty and Editor Ruth Tross from Mulholland Books UK. Bound to be lots of fun!!! 2.15 – 3.45pm Is there a Future for Crime Fiction?